Moving is an exciting experience. The feeling of moving to a different place with bright and better prospects is overwhelming. But a relocation is often marred with stress and frustration which comes along with packing and moving belongings deftly. Therefore, it’s prudent to rely on the services and support of a professional moving company. 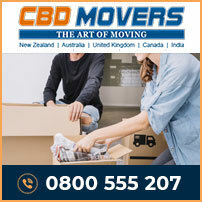 At CBD Movers NZ, we are a reputed name in Auckland’s removal industry. With years of experience, requisite licenses and approvals, right removal gear and the most proficient staff; we are the best removalists in Morthcross. At CBD Movers NZ, we undertake a comprehensive list of removal services. We understand the distinct needs of house removal, office shifting and furniture relocation and offer customized services to address each. From basic loading and unloading to offering end-to-end services for packing and moving; we are equipped at all. We use the best packing supplies and our crew is trained to dismantle and reassemble furniture pieces deftly. 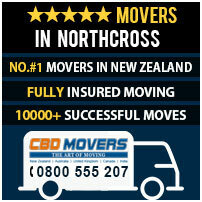 Tools, trucks and licenses; at CBD Movers NZ, we have everything required to pull out a successful move. We have well-defined processes and work structure. The best-in-class removal gear makes every move safe and quick. We own a huge fleet of trucks with vehicles ranging from 3 tonne truck load capacity to 8 tonne truck load. Being equipped with climate control technology makes every vehicle withstand the harms of exposure to temperature variations. We are certified movers and have clear understanding of the laws of the land. We hold the requisite licenses and permits required to undertake local and interstate moves. At CBD Movers NZ, we take pride in our superior removal services that are available at the cheapest rates in the region. We do not compromise on quality. But our bulk operations help us pass on benefits of low hourly rates to our clients. We do not charge a depot fee and provide additional labor at $30 per hour for every extra person required. Our transit insurance cover is comprehensive and reasonably priced. We have transparent and clear operations with no hidden clauses. Northcross is a suburb of Auckland, New Zealand. Located on the north shore of the Waitematā Harbour, it is a metropolitan area with all the facilities and features for a comfortable and worthy living. Northcross is home to nearly 3000 people. Northcross to be a happy and successful one. Our services are safe, reliable and fully customized for adorable and cost-effective rates. Get in touch with us for superior services and removal deals.